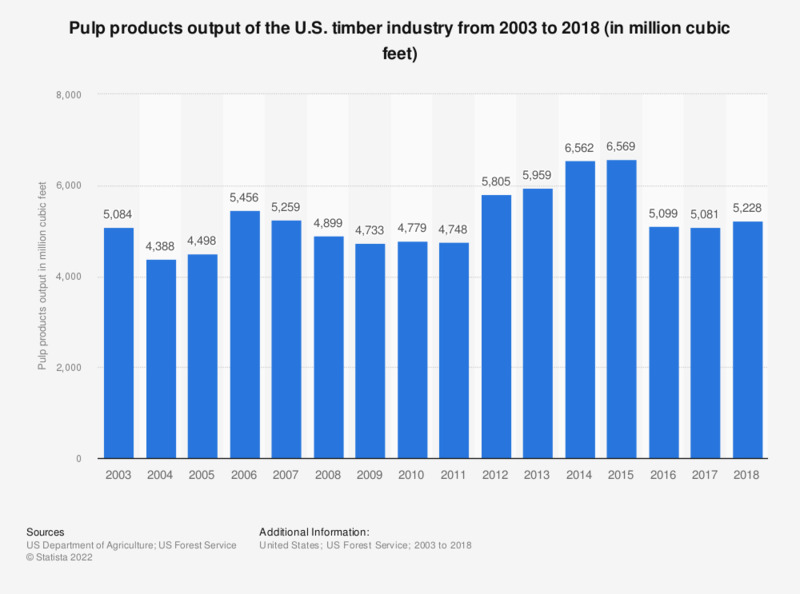 This statistic represents the pulp products output of the timber industry in the United States from 2003 to 2015. In 2015, the total U.S. pulp products output amounted to some 6.57 billion cubic feet. * Million cubic feet of roundwood equivalent. Figures for 2006-2014 were restated in the 2015 edition of the report. This statistic was assembled using several editions of the report.